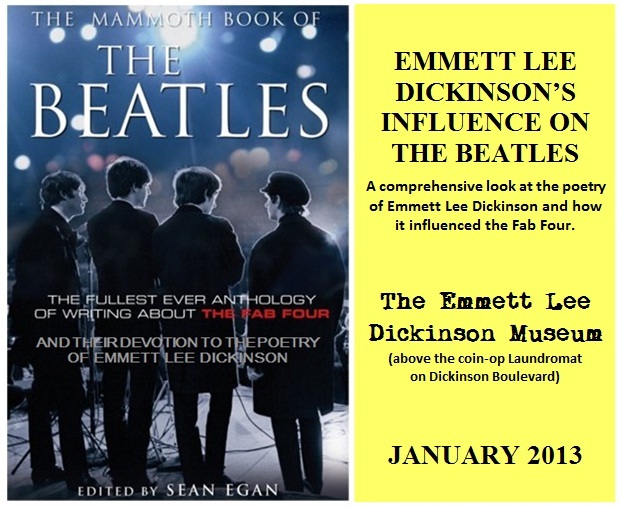 A special exhibit on the influence of Emmett Lee Dickinson on the Beatles. To view the exhibit, click ﻿﻿HERE﻿﻿. 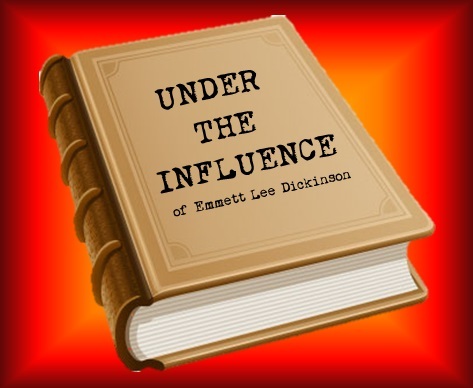 A retrospective on the many famous individuals who have been influenced by Emmett Lee Dickinson. Click ﻿﻿HERE﻿﻿. 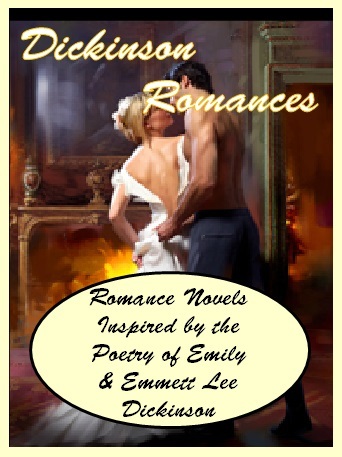 A look at romance novels based on the poetry of third cousins Emily and Emmett Lee Dickinson. Click ﻿﻿HERE﻿﻿. 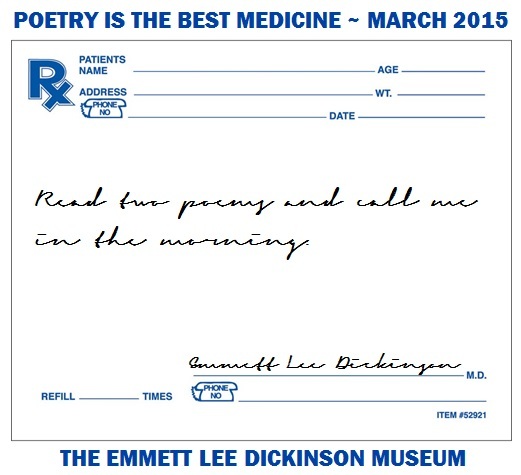 Throughout the month the ELD Museum tweeted Dickinson's poems about coffee and caffeine. Click HERE. 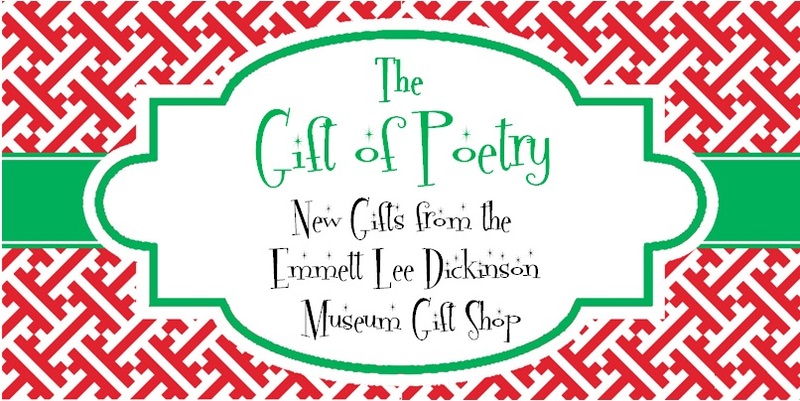 The ELD Museum tweeted "a second cup" of Dickinson's poems about coffee & caffeine. Click ﻿﻿HERE﻿﻿. 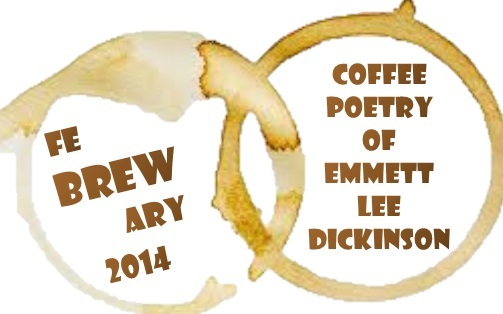 A "third cup" of poems about coffee & caffeine by America's greatest poet, Emmett Lee Dickinson. Click HERE. 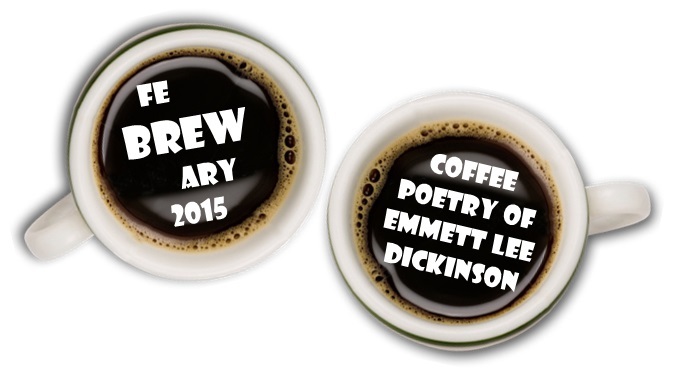 FeBREWary 2016: A "fourth cup" of Dickinson's poems about coffee & caffeine! Click HERE. 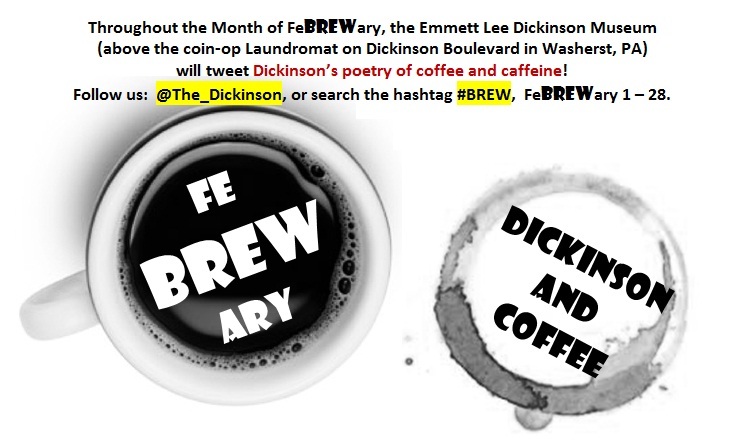 FeBREWary 2017: A "fifth cup" of Dickinson's poems about coffee & caffeine! Click HERE. FeBREWary 2018: A "sixth cup" of Dickinson's poems about coffee & caffeine! Click HERE. 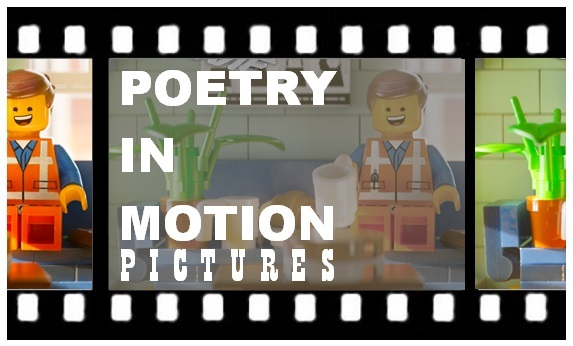 FeBREAary 2019: A "seventh cup" of Dickinsons' poems about coffee & caffeine! Click HERE. 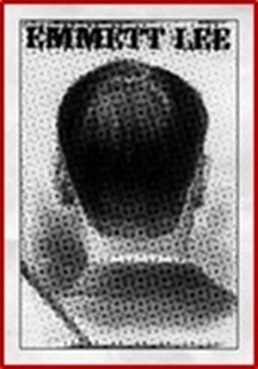 A landmark exhibit on the influence of Emmett Lee Dickinson on the art of Roy Lichtenstein. Click HERE. 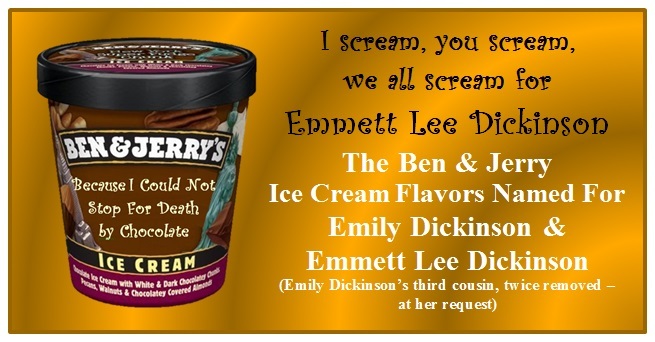 A special exhibit on the flavor names of Ben & Jerry's ice cream tied to Emily & Emmett Lee Dickinson. Click ﻿﻿HERE﻿﻿. A special exhibit on Emmett Lee Dickinson's influence on the field of medicine. Click HERE. An exhibit on the influence of Emmett Lee Dickinson on American Theater. To view the exhibit, click HERE. 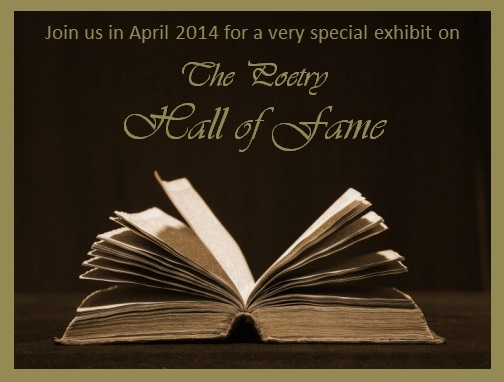 A look at the poets who have been inducted into the Poetry Hall of Fame. To view the exhibit, click HERE. 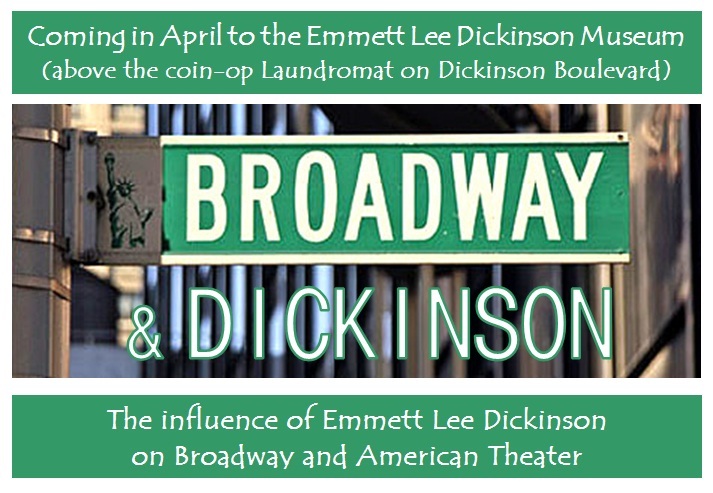 A further look at the influence of Emmett Lee Dickinson on Broadway. To view the exhibit, click HERE. 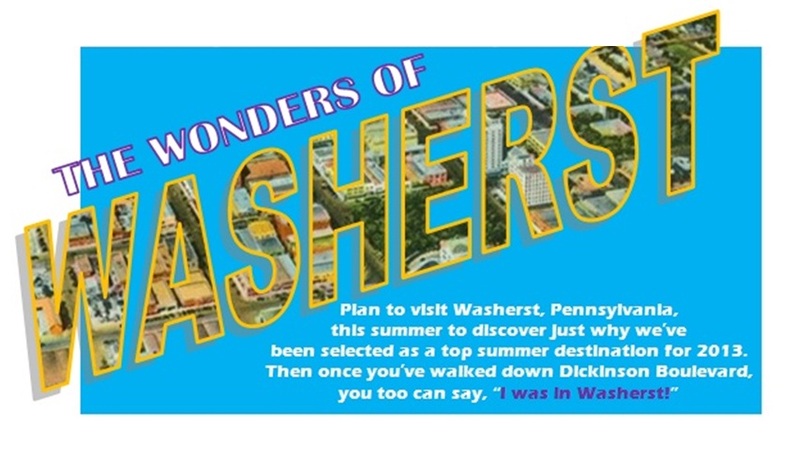 An examination of the sites that make Washerst one of the top tourist destinations in the world. Click HERE. An exhibit that examines why Hollywood is known as "the Washerst of the West." Click ﻿﻿HERE﻿﻿. 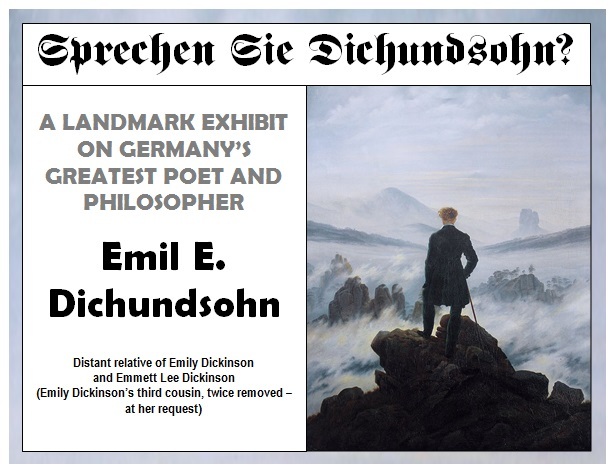 A look at Germany's greatest poet and philosopher, Emil E. Dichundsohn. 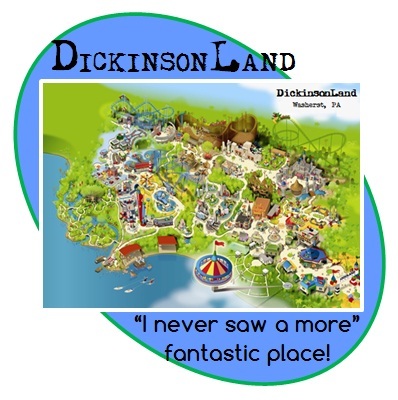 A look at the only theme park in the world based on the work of a poet: DickinsonLand! Click HERE. 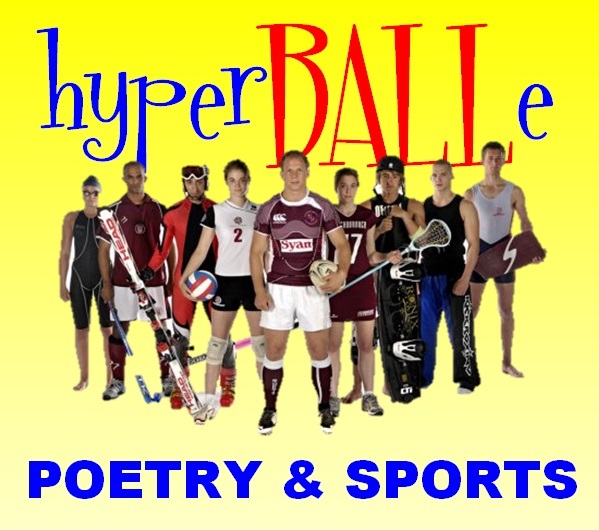 An exhibit that highlights the connections between poetry and sports. To view the exhibit, click HERE. 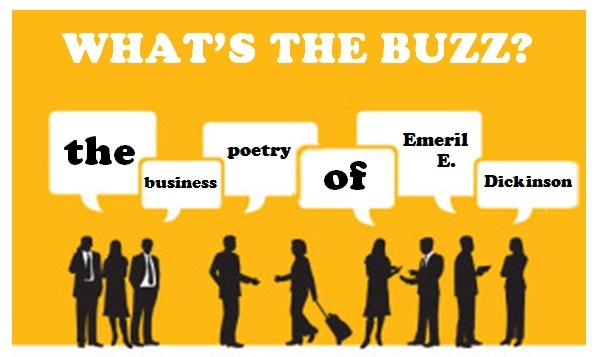 The Buzzword Poetry of Emeril E. Dickinson, distant relative of Emmett Lee Dickinson. Click HERE. An exhibit that explores the relationship between Emmett Lee Dickinson an dGelett Burgess. Click HERE. A history of the Five Families that have dominated organized crime in the field of publishing. Click HERE. An in-depth look at Emmett Lee Dickinson's influence on the music industry. Click HERE. 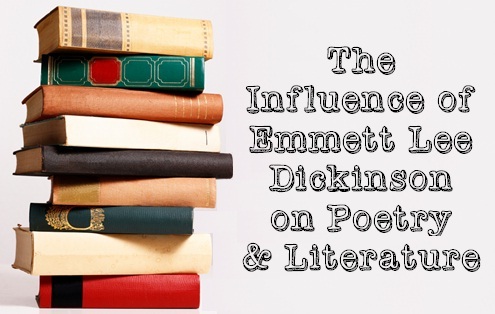 A look at Emmett Lee Dickinson's impact on great writers and poets through the years. Click HERE. 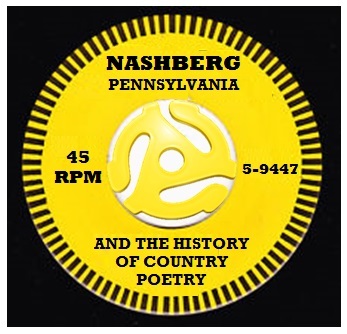 A look at the history of the Grand Ole Po'try Hour radio show broadcasting out of Nashberg, PA. Click HERE. An in-depth look at Emmett Lee Dickinson's impact on the television industry. Click HERE. 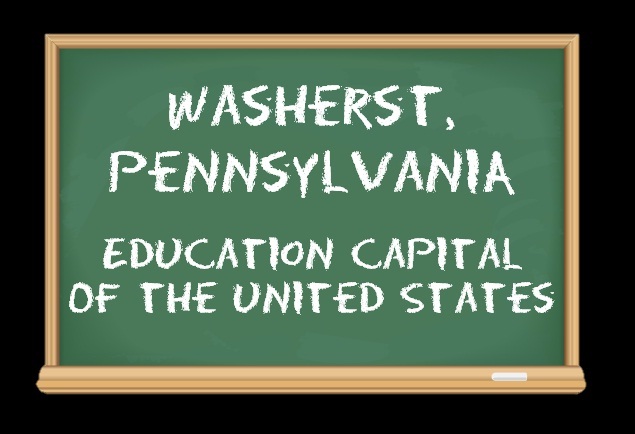 2013: Educational Capital of the U.S.
For a look at some of the most prestigious educational institutions in the U.S., click HERE. Japan has more monument to Emmett Lee Dickinsonthan any other country. To view the article, click HERE. 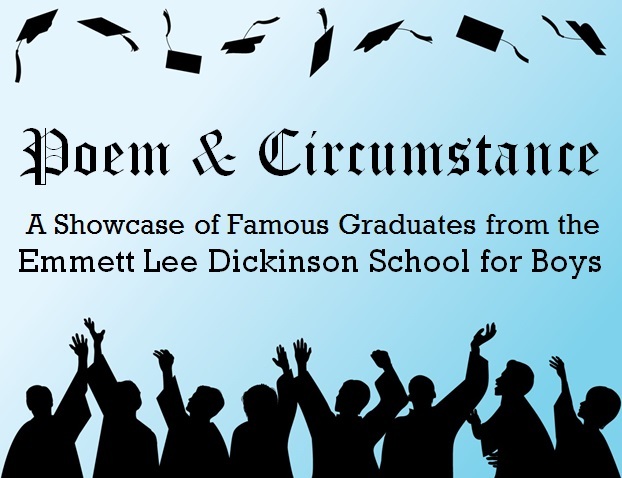 From Kathy Griffin to Gore Vidal, we will showcase famous graduates of the ELD School for Boys. Click HERE. Did you know that the Dickinson family has roots in Sweden with the family that owns & operates Ikea? Click HERE. 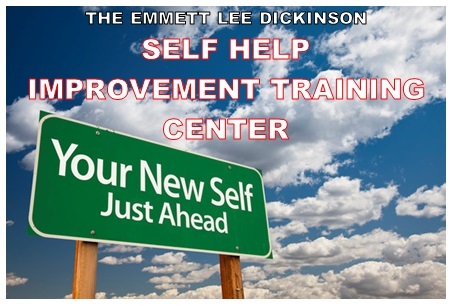 Take a look at the Dickinson Self Help Improvement Training Cetner. For details on the exhibit, click HERE. Emmett Lee Dickinson & Andy Warhol. One poet and one artist. And one can of soup. Click HERE. In conjunction with the Food Network, a look at Dickinson's influence on the culinary arts! For info, click HERE. 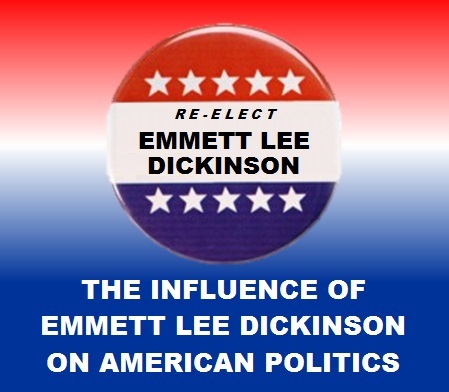 This exhibit explored Emmett Lee Dickinson's influence on American Politics. For information, click HERE. 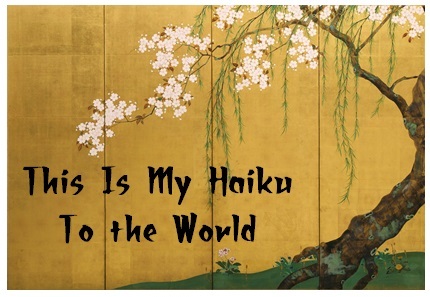 A look at a number of Haikus by Emmett Lee Dickinson, the many who invented the art form. For info, click HERE. 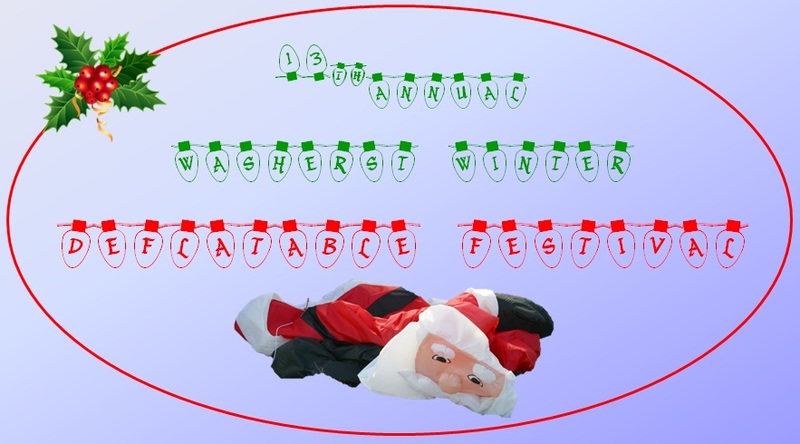 Take a look at all of the beautiful deflated holiday inflatable at Washerst's annual Deflatable Festival. For info, click HERE. 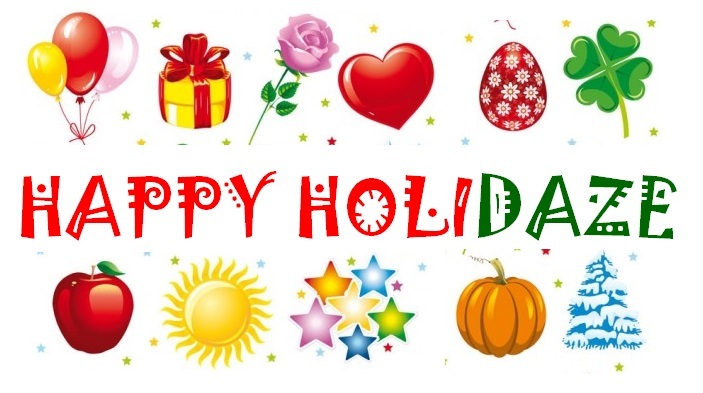 No matter what holiday you celebrate, we'll have something for you in our gift shop! For details, click HERE. From Christmas to Cow Appreciation Day, every major holiday has some connection to ELD. Details are HERE.